The Canon IRC-2020 is a network-ready multifunction laser printer. It delivers good quality output and print resolution that can go as high as 1200 x 600 dpi. This Canon IRC2020 multifunction printer is also capable of scanning and copying; optional fax is available. Users can choose from a wide range of optional finishers to suit their needs. The Canon IRC-2020 has expandable paper handling capacity. However, the IR C2020 laser printer is quite slow when printing and copying and is only capable of delivering monochrome jobs. The Canon ImageRUNNER ADVANCE C2020 printer measures 622 x 633.4 x 665.4 mm and weighs 46 kg. It has a sturdy base with paper trays and room for optional cassettes. The Canon IRC2020 colour laser MFP printer has a maximum handling capacity of more than 1000 sheets. This model has an organised control panel with LCD display and function buttons. The Canon IRC-2020 colour laser printer is very easy to use and setup. Workgroups can easily share the unit as it has Ethernet connectivity and offers support for Macintosh and Windows computers. 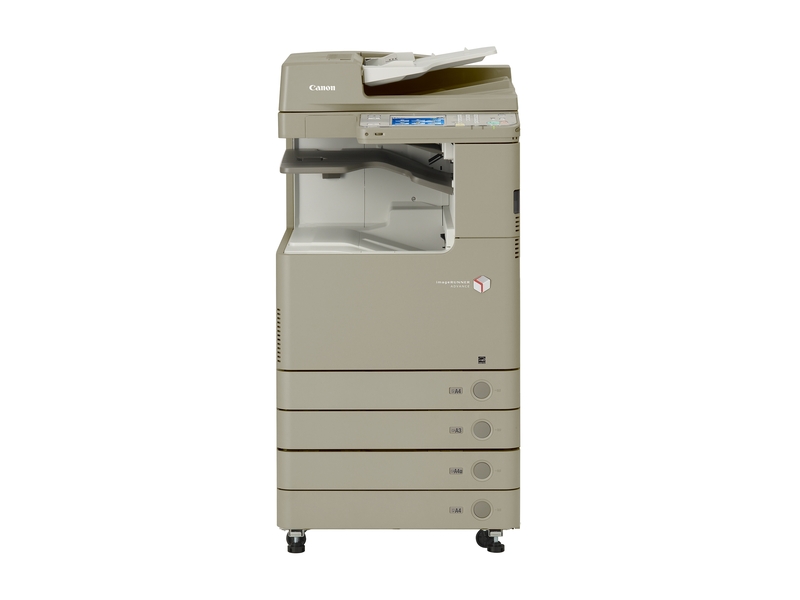 The scalable design of the Canon IRC-2020 colour copier makes it a popular choice for limited spaces. The Canon IR C2020 laser printer can be run on low-cost Canon IRC-2020 printer cartridges that are manufactured by Canon themselves and deliver vivid colour copies. Print speed is acceptable but slow for a laser printer. In fact, the Canon IRC-2020 colour multifunction printer has already been surpassed by newer models and competitors. The ImageRUNNER ADVANCE IR-C2020 model also has low paper handling capacity, even with the addition of optional cassettes.